Save your sister from the grave! After receiving a troubling phone call from your brother-in-law, you’re off on an adventure! 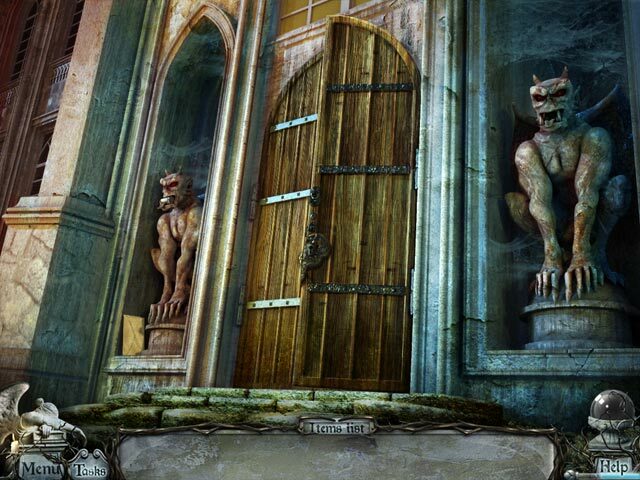 Investigate the troubling scene and discover the truth in Gravely Silent: House of Deadlock. 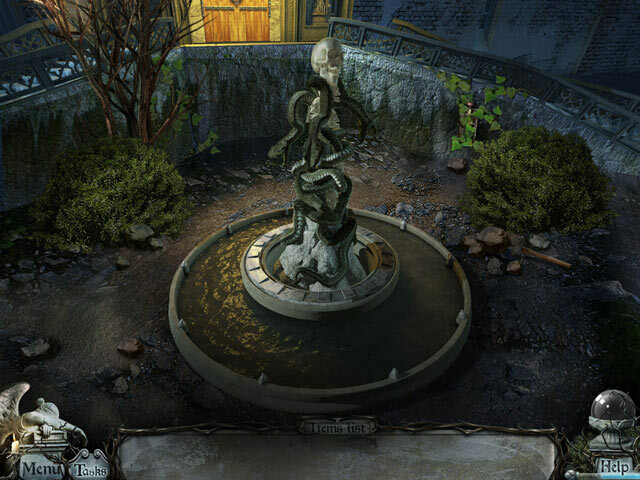 Scour gorgeous Hidden Object scenes for valuable clues and unravel the mystery behind your sister’s disappearance. 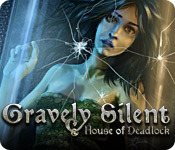 Gravely Silent: House of Deadlock is rated 4.1 out of 5 by 92. Rated 5 out of 5 by yummipeach from Won't forget This game was very well done, I loved the storyline so much that I have been looking for other games made by this developer. I will never forget the title of this game, very fun to play. Rated 5 out of 5 by EzgiMelody from Nice & Fun I Liked this game ; not too dark, not too complicated. it is totally entertaining. HOG.s are really nice and short games are too. Thank you Big Fish. Rated 5 out of 5 by smilingsun72 from Unique! Brilliant! Wonderful game! The story 'grabbed' me from the beginning. I had to know what happened to 'my sister'. I soon found out as the scenes unfolded int crisp, clear beautiful areas. 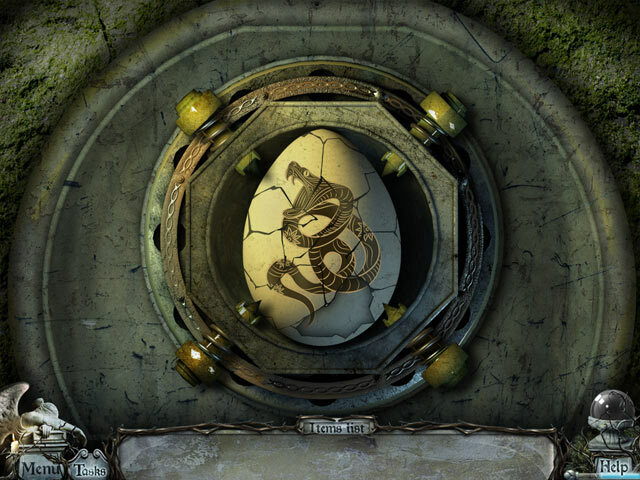 I found lots of puzzles to solve along my journey and at times, the HOS's objects were a challenge to find. When I couldn't find where to go I referred to the handy task list, or on rare occasions used the quick recharging hint. The netherworld scenes where a great concept, along with the use of the portals to the graves.Though seems creepy it didn't feel that way to me because of the beautiful scenes and the awesome music. This game is long but I enjoyed myself tremendously that it didn't seem that way. I can say I haven't liked a game this much in a long while. Rated 5 out of 5 by chinadoll012 from Pleasantly Surprised I bought this game originally for my sister to play but dreaded to play it myself for a long time since I tend to shy away from scary/horror HOGs. Surprisingly, I found this game to be engrossing, with a good storyline and just enough level of difficulty. I can't remember how long it took me to finish the game but do remember it was a good amount of time, 5+ hours. I just wished I bought the CE version. Definitely a steal at $2.99. Rated 5 out of 5 by FishyFemale from Intriguing storyline and graphics pull you right in I'd never heard of this game until it was offered as the COW for $2.99. It sounded just like the kind of creepy games I prefer, so I couldn't pass it by for the excellent low price. I would have paid more for it because it's really that good. I loved the demo and enjoyed it even more as the game progressed. It has beautiful graphics and well-hidden items in the HO scenes, but they're not so tiny as to cause frustration. The interactive inventory items are always an added bonus, and found items were used nearby so backtracking was limited to only a few scenes. The hint button quickly refilled and was helpful enough to keep me from consulting the walkthrough. Puzzles were not hard but required some intuitive thinking to figure them out. Music and ambient sounds provided the appropriate moody atmosphere. This was a very enjoyable game overall with a very interesting storyline and smooth gameplay that flowed very naturally. Well worth the money but like I always say, try before you buy so that you feel the same way about it. Rated 5 out of 5 by skylark32 from Very good! Nice and long. Story line is good. Don't do the hidden objects tired.... you'll end up clicking the hint button. Well worth the money. Rated 5 out of 5 by Crickettt from It gets a 5 from me.. I thought this game was wonderful! Yes, some of the HOS were a bit small and it was not THAT bird, but another one, but that truly took nothing from the enjoyment I had playing this game. The music is not aggravating, the story is super interesting, to me, and there is not a lot of backtracking as the chapters are pretty much self contained. The game was long and interesting always. The hint button was not super helpful, but did help some, and there is a walkthrough for the few really challenging things. The puzzles were mostly all unique and some were easy and some I had NO idea, but they were really cool. This was fun to the max. Rated 5 out of 5 by tinker3 from just loved this game This game was great.. The visuals were beautiful. I loved some of the puzzles which were not too hard and quite different. The story kept me interested. I think I have two complaints one the ending was rather sudden and some of the objects in the H.O. 's were quite difficult to find especially the small items but the hint button filled quite quickly so it was not a problem. I would certainly buy another of their games.